However, as you would expect of a geological phenomenon millions of years old (if you go for the scientists' explanation over the one about giants meeting to battle on a specially constructed causeway), it has been inspiring visitors and locals for hundreds of years. Giant's Causeway is truly deserving of its titanic title. As Northern Ireland's only World Heritage Site, it strikes wonder into the hundreds of thousands of people who visit each year. However, as you would expect of a geological phenomenon millions of years old (if you go for the scientists' explanation over the one about giants meeting to battle on a specially constructed causeway), it has been inspiring visitors and locals for hundreds of years. This guidebooks explores both the science and the myth, and introduces many fascinating characters, some fancied, others real, some world-famous, others local legends. As well as the Causeway's long history and the tall stories that abound, this guidebook will show you some of the other natural delights of this place. For a coastline so exposed to wind and sea, as well as countless human footsteps, the Causeway is home to a great variety of flora and fauna. 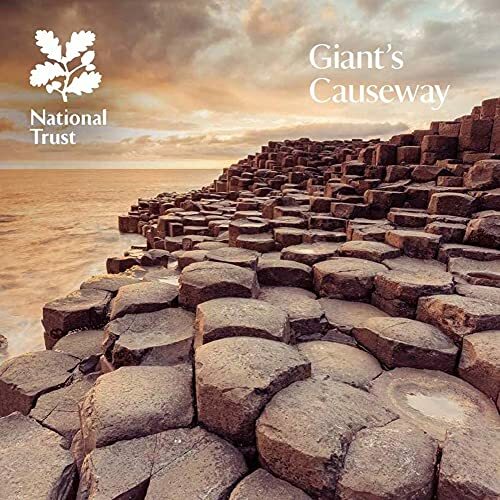 Featuring stunning photography throughout, this guidebook aims to convey some of the wonder of the Giant's Causeway, to explain why it is so unusual and so important as a natural phenomenon, and to share some of the many tales told about it. Much more than stones. Available in English, simplified Chinese, French, German, Italian & Spanish.